Host was very accommodating, helpful and kind. Very organized. The place went beyond our expectation. We had a great experience in Rome because of Jubilee1. Francesca was extremely helpful. We had a really comfortable stay. It was clean and perfect for the 3 of us. Prompt communication by the host. Location and the cleaness . The property had everything we needed. as a family with two children. The location although not in a typical tourist area was close to the Vatican City and we either walked or used the metro to get to the other sights. We managed to enjoy some great authentic non touristic eating spots nearby. Francesca was very helpful and accomodating. We appreciated the information, taxi organisation and extra luggage storage time. 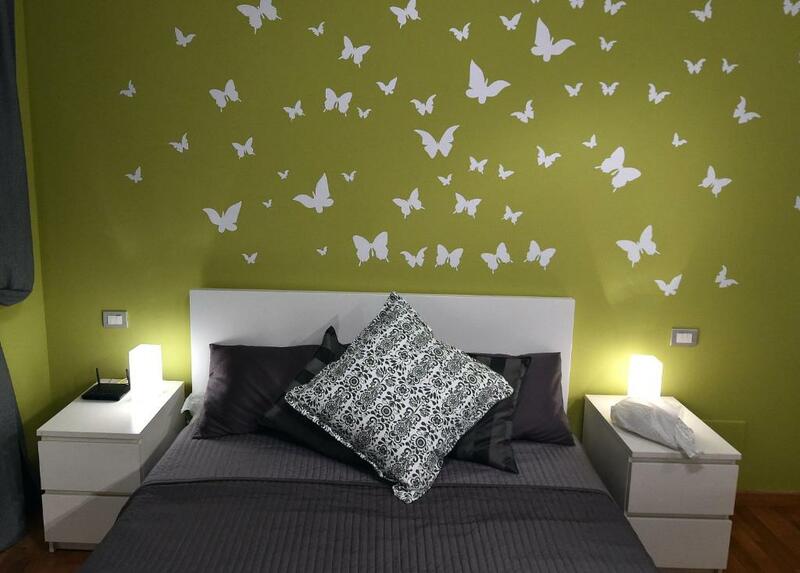 The apartment is with perfect location, very close to metro station Ottaviano, good interior, has everything needed. The host is very polite and cooperative. She welcomed us before the official check-in time, arranged us a taxi to the airport on the day we left. The area is very pleasant with lots of places to have coffee and to eat. It was nice to stay in the apartment Jubilee 1. Francesca was very friendly, gave all the necessary information on the location, stores and so on. The apartment was very clean, everything you need to relax for two there. Location elegant - many city attractions are within walking distance. Close to the metro system and the vatican is only a short walk away! Had everything we needed during our stay. Francesca was also very helpful to us! Bed was comfortable, room was clean and had all amenities. Host was always willing to help and advise promptly. De locatie is geweldig. Super omgeving. Heerlijke eetgelegenheden. Alle bussen dichtbij maar ook goed om te gaan lopen. Heel verrassend. Heel fijne hostess. Zo behulpzaam en easy in omgang. Ik kom zeker weer terug. Liefst morgen nog!! Lock in a great price for Jubilee 1 – rated 9.1 by recent guests! One of our best sellers in Rome! 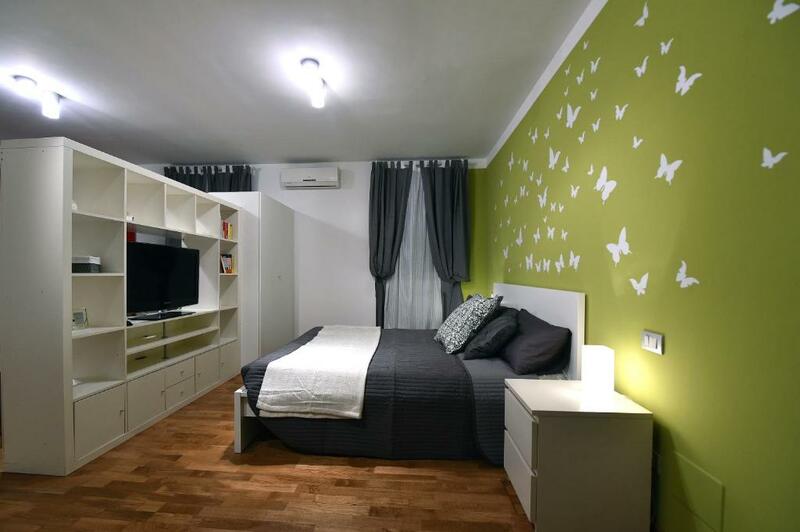 Located 2,650 feet from the Vatican Museums and 0.7 mi from Castel Sant'Angelo, Jubilee 1 offers a contemporary-style studio with free WiFi in Rome. This property is 1,800 feet from Lepanto Metro Station. 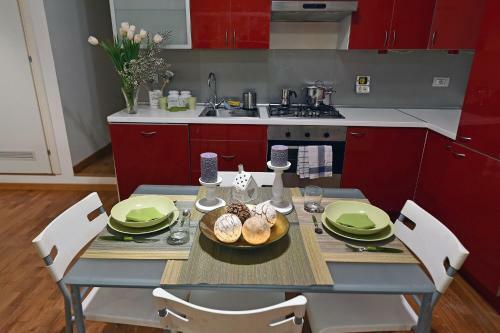 The studio is set in an elegant Roman building in Rome's Prati neighbouhood. This lower ground-floor apartment has a living area, a kitchenette with dishwasher and a bathroom with shower and washing machine. A flat-screen TV is available. St Peter's Square is 0.7 mi from Jubilee 1, while St. Peter's Basilica is 0.8 mi from the property. A bus stopping 350 feet away takes you to the Foro Italico and Olympic Stadium in 25 minutes. 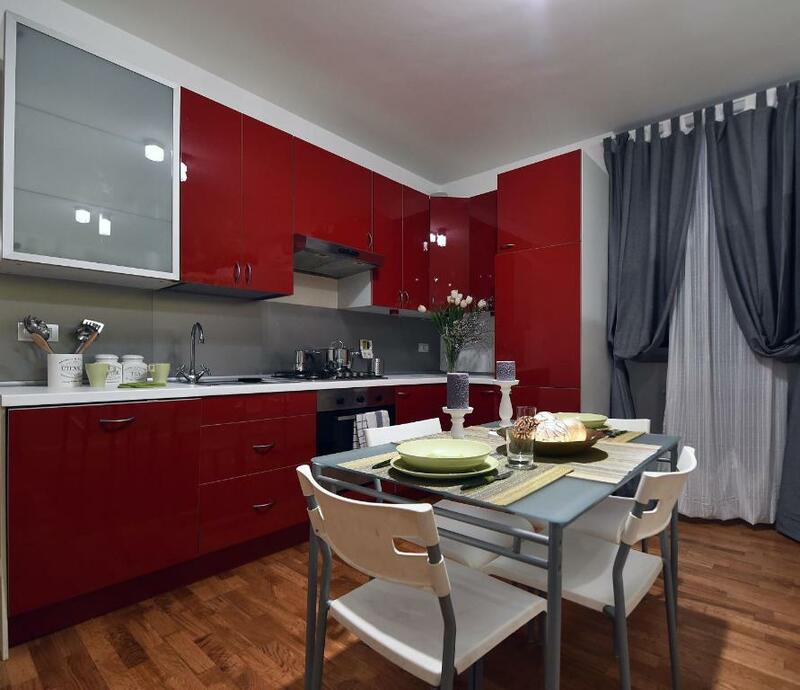 The nearest airport is Rome Ciampino Airport, 11 mi from Jubilee 1. When would you like to stay at Jubilee 1? 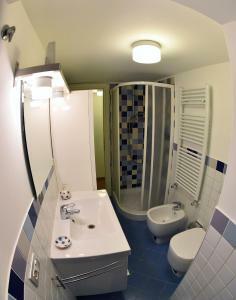 Offering free WiFi, this lower ground-floor studio includes a living area with a kitchenette and a double sofa bed. It is a loft I refurbished personally like if it was my home ! 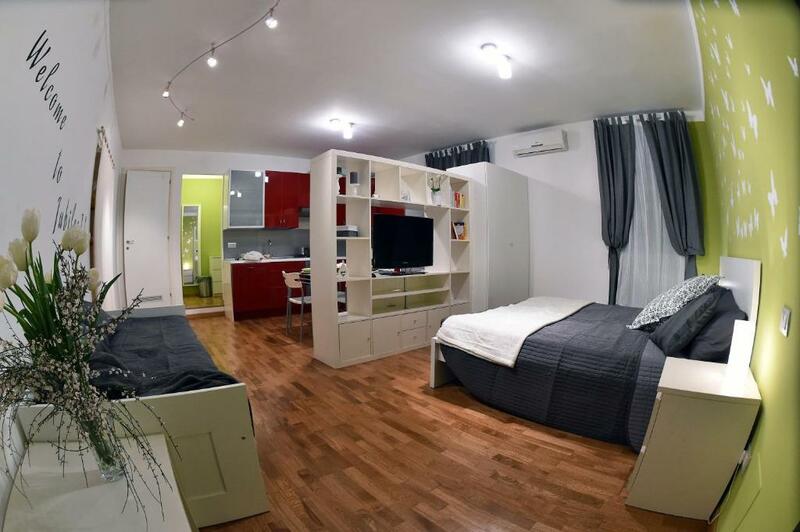 I tried to get it comfortable and well fitted like if I would live in it ready to serve both couples or families that would like to spend some time in Rome. The loft is perfect for a short stay but thanks to a fully equipped kitchen , laundry machine and other features also for the longest rentals . In the flat you will find books at your disposal . Take one them with you e leave one of yours in your language in the flat in the library with your name and date of stay. We participate to bookcrossing a free book exchange system that allows people to share emotions, stories and culture through living books . If you wouldn’t get bored in preparing your meals ask us for our special vouchers to get breakfast at discounted rates in our sister structures just by the door or get special rates in the best restaurants in the area that we will be happy to suggest you upon your wish. I am 44 years old and I have two daughters aged 3 and 10. I like to host friends in our house and together with my best friend Francesca, we decided to transform this passion in our little business with our two flat located in Prati neighborhood. Living very close to the structures we will be available to assist you along your stay and to share with you the living experience of this full of life district that we choose as our own families living site. We are a family loving sports and we practice in facilities of the stunning Foro Italico Olympic park just at walking distance and therefore we would be glad to inform you about the sport and entertainment events taking place there . 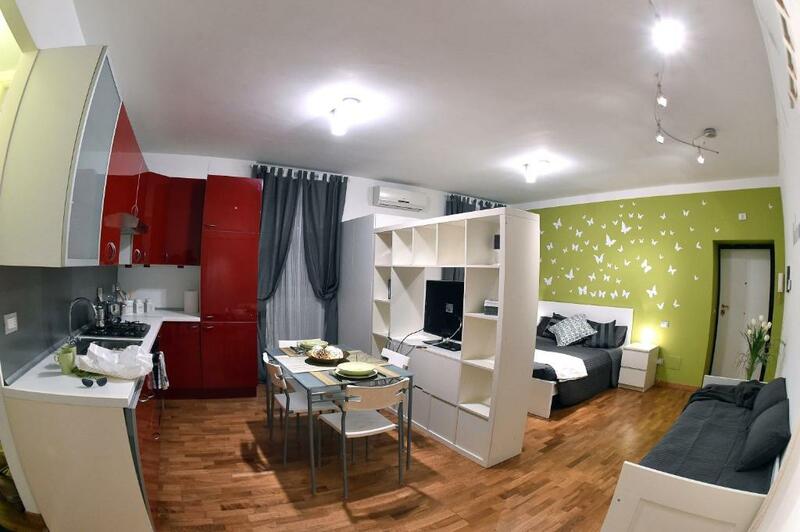 The loft is extraordinarily well connected by public means of transport laying just between two metro stops less than 500 mt far on the line getting to the main railway station Roma Termini . At walking distance you can easily reach the city center with the most well known places like Piazza del Popolo, Via del Corso , Piazza di Spagna or Piazza Navona or the Vatican, the shopping area of Via Cola di Rienzo, MAXXI the modern art museum and the stunning Foro Italico Olympic park that host some of the most worldwide known sports events like RBS Six Nations, ATP/WTA Rome Master1000 tournament, IAAF Diamond League as well as international stars concerts. Just 100mt by the flat runs the longest biking path in Roma allowing you to cycle along the Tiber river in the most characteristic zones of the city. For business stay the flat is close to various public offices as well as national broadcaster RAI headquarters. Staying in our homes will make you feel part of the city since the first moment and a roman citizens since ever ! House Rules Jubilee 1 takes special requests – add in the next step! Jubilee 1 accepts these cards and reserves the right to temporarily hold an amount prior to arrival. A surcharge of EUR 10 for each hour of delay applies for arrivals after check-in hours. All requests for late arrival are subject to confirmation by the property. Please inform Jubilee 1 of your expected arrival time in advance. You can use the Special Requests box when booking, or contact the property directly using the contact details in your confirmation. The flat is at lower ground . Noisy lift motor room just outside the bedroom. Noise from front entrance and flat above. No milk or any condiments in the kitchen cupboards. Apartments are in the basement, high humidity as a result. Comfortable apartments with good location. It was a little bit noisy (neighbours and elevator) but not all the days. Since the apartment is in basement, there was no view and you could hear the footsteps of the people above us each time they were walking. If you sleep deep, it won't be an issue.